As a successful family business with a long history and two owner-operated locations, we feel that we have a commitment to our customers. This applies not only to your electroplating projects and all related services but also to the provision of interesting and important information about our range of activities. Our website will tell you about what motivates us, the values and quality standards we stand for, the services we offer and why electroplating is our passion. Keep up-to-date with the latest news from Reinmuth Galvanik. Since 2001, there is nationwide the Girls`Day, where girls from the 5th grade can get a taste of the typical male professions. 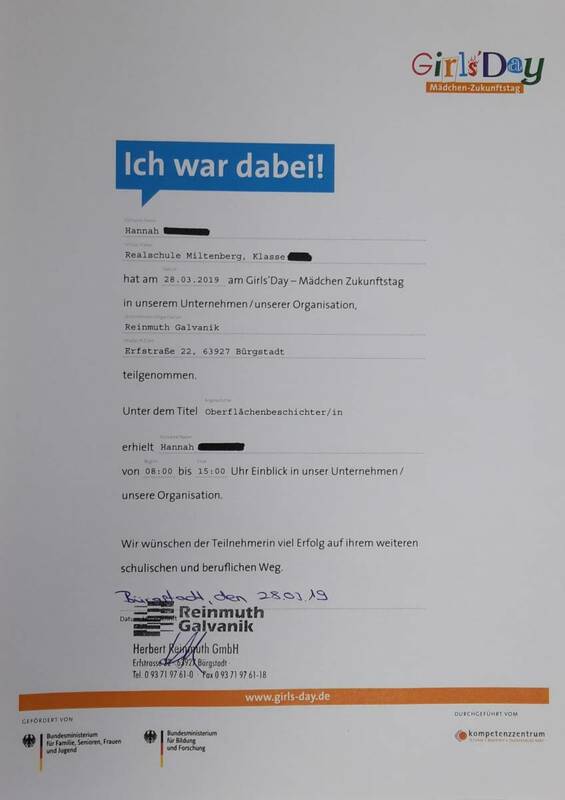 We also participated again this year and received on Thursday, the 28.03.2019 three “girls” who were allowed to get a taste of the “men’s profession: surface coaters”. At 8 o’clock, Adriana (10 years old), Thalia (13 years old) and Hannah (10 years old) started their working day with a company management, so that the three girls first got to know all departments of our company. 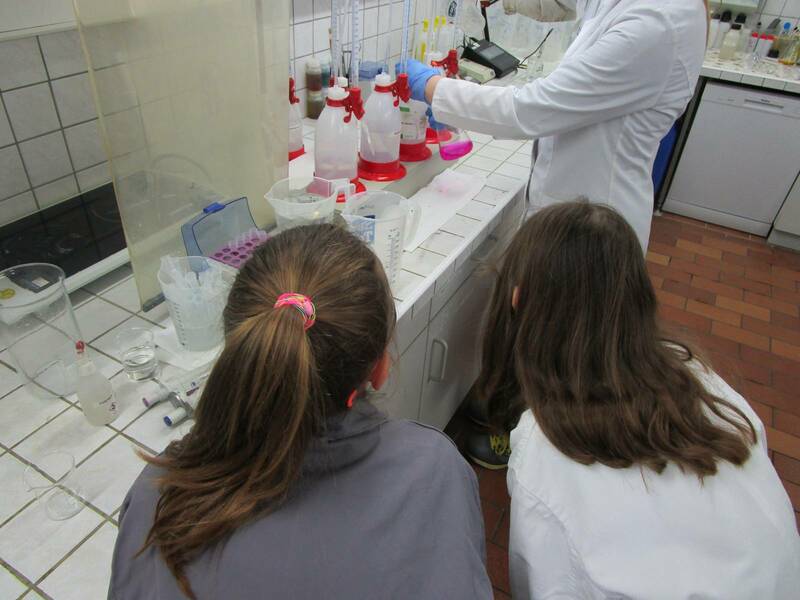 After seeing a lot about our water filtration system and the coating of components in our technical center, the girls were then able to participate in various experiments in the laboratory. Astonishing was the attempt to produce pink and blue “unicorn pipi” from a clear liquid. For lunch there was delicious pizza and pasta, so that Adriana, Thalia and Hannah could go back to work strengthened. Afterwards her mathematical skills were tested and the certificate was handed over for participation. At 15 o’clock ended an exciting and certainly educational day for the kids. as a substitute for the hexavalent yellow chromating in the drum process, in addition to the transparent passivation, we now have chromium (VI) -free yellow passivation in use. REACh and RoHS compliance is guaranteed. The corrosion values are cf. with the thick-film passivations. If required, we will gladly make you a non-binding offer.